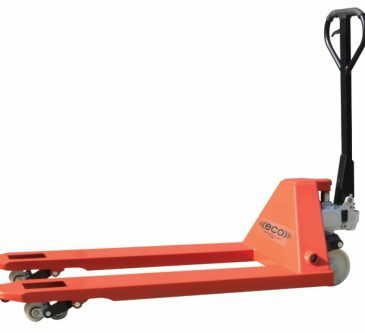 ECO I-11HD "Heavy Duty" (11,000lb) Pallet Truck - MOBILE INDUSTRIES INC. :: Material Handling Tranport, Lift and Warehouse Equipment. 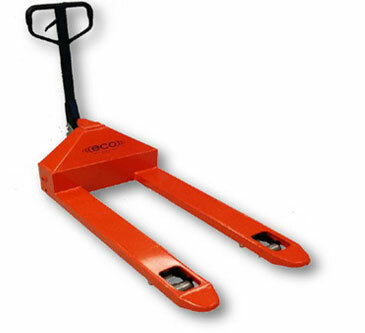 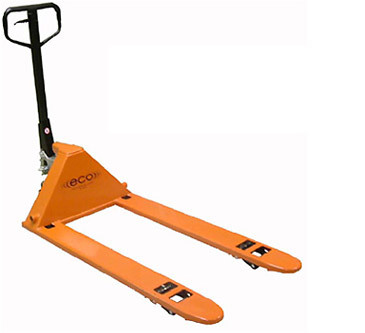 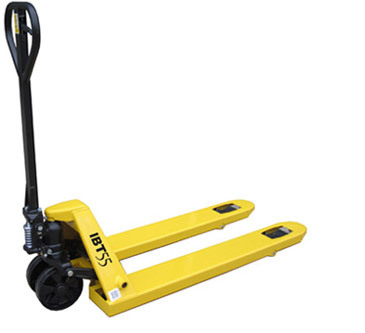 The ECO I-11HD Heavy Duty Pallet Truck is designed for extra heavy duty applications. 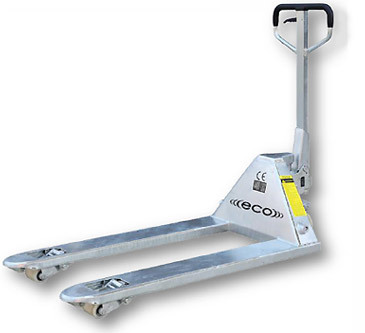 It offers the same durability as the ECO I-55, but reinforced to handle loads of up to 11,000 lbs. 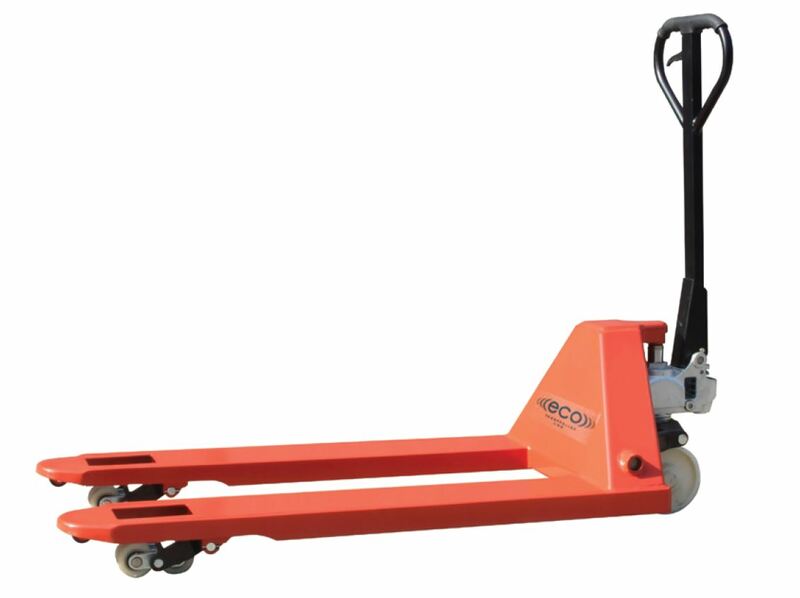 Like the standard ECO I-55, the ECO I-11HD is designed to handle very heavy loads; offers 200 degree handle pivot for exceptional maneuverability in compact areas; comes with standard polyurethane wheels and heavy duty load rollers; features a powder coat finish; robotic welds throughout; and grease fittings at all pivot points for easy maintenance.